Equine metabolic syndrome is a condition that usually affects horses between 8 and 18 years of age. Affected horses are often overweight. Horses with this condition develop fat deposits much like those found in Cushing’s disease in horses. Fat may be deposited on the shoulders, loins, neck, tailhead, and just above the eyes. Some horses grow a pot belly. The horse may have bouts of equine laminitis, affecting the hooves. Horses with equine metabolic syndrome often drink more water and urinate more often than healthy animals. In people, this condition is sometimes referred to as pre-diabetes. If measures are not taken to control this syndrome, it can progress to insulin resistant diabetes. Equine insulin resistance is one of the main characteristics of this disorder. In other words, the horse’s blood sugar runs on the high. There are several tests that your equine veterinary specialist can use to diagnose or rule out equine metabolic syndrome. The veterinarian will want to rule out equine Cushing’s syndrome and hypothyroidism. Unfortunately, these tests are expensive because they cannot be conducted in the field. The horse will be given an intravenous drip and blood samples are taken at regular intervals. There is no cure or medical treatment for equine metabolic syndrome. There are, however, two things you can do to help control the condition-nutrition and exercise. 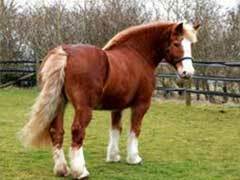 Your veterinarian can tell you if your horse is overweight. You may have to restrict the amount of food you give to your horse and eliminate or limit pasture grazing time. The second thing is to increase the amount of exercise your horse gets. Just like you, your horse should get exercise on an almost daily basis. You can lead your horse by hand on a walk, long-line the horse, or go for a ride. The exercise and time together will benefit both you and your horse!